It’s back ladies & gents! The 1st of 17 Sundays are here. Every guy loves these moments. That’s when they get their moment to spend their Sundays glued to the tube & some wives hate it because it kills into their quality time & some wives love it because some may follow the sport as well. A lot of things have changed since the Seahawks won the Super Bowl and lot of legal power moves recently by Roger Goodell before the regular season started w/ Josh Gordon’s suspension upheld, Aldon Smith getting hit w/ 8 game suspension & today w/ Jim Irsay suspended for 6 games for his DUI. Forget bout the offseason troubles, let’s talk some action which starts on Thursday. Cincinnati vs Baltimore- AFC North battle. The Bengals are the defending champs in the division, but lost in the wild card game. That made it 2 yrs in a row for Andy Dalton & A.J. Green. They gave Dalton a contract extension, but he hasn’t won a playoff game yet. Very Romo like. For the Ravens, rough off-seaon w/ 8 players getting arrested in the offseason, including Ray Rice for domestic abuse on his then fiancé/ now wife. If you think that was stupid, Goodell gave him a slap on the wrist w/ a 2 game suspension. So expect Bernard Pierce to get a lot of carries & Joe ‘CM Punk” Flacco to carry that team. Close game here. Ravens are 1.5 home faces. I like the Bengals by a fg. Buffalo vs Chicago- The Bills get open on the road vs a determined Bears team who are still pissed bout blowing that opportunity to win the NFC North on the final game of the season. For the Bills, the sophomore yr of EJ Manuel & will he stay healthy? They drafted Sammy Watkins & had to say good-bye to Stevie Johnson. The defense is still intact, except for losing Byrd & Petitine taking the Browns head coaching job. For the Bears, year 2 of the Marc Trestman era. They are neck to neck w/ the Packers for the division. Brandon Marshall (who is on my fantasy team) is so high on Cutler expectations that he predicts a MVP season for him. He has a great sidekick in Alston Jeffery & the offense will be ready. Bears are a td home have. I like the Bears & the points. Washington vs Houston- We saw the Texans making moves recently by acquiring Ryan Mallet in a trade w/ the Pats. They better hope that solves their qb issues & makes Andre Johnson a happy player. He’s been frustrated lately & I probable feel bad for Arian Foster because they lost Ben Tate to free agency, which means a lot of carries for him. 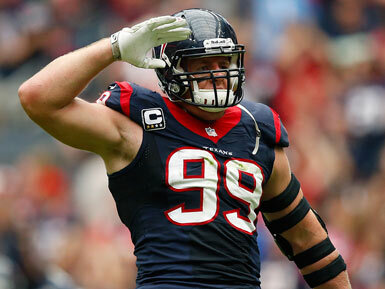 Expect their defense to run roughshod w/ Jadevon Clowney & JJ “100 million dollar man” Watt. For the Redskins, it depends on RG III & can he stay healthy this yr. New coach for the Skins & the off-season stories for the Skins were the acquistion of DeSean Jackson & the league begging Snyder to change the team’s name, which he’ll never do. It’s a toss-up here. Texans are 2.5 home faves. I like the Skins by a fg. Tennessee vs Kansas City- Yr 2 of the Andy Reid era kicks off for the Chiefs at Arrowhead. They won’t have Dwayne Bowe for the opener since he got busted for marijuana arrest in the offseason last yr, but they still have Jamal Charles & Alex Smith will be relieved after getting a 4 yr contract extension. For the Titans, it’ll be different for them since they won’t have Chris Johnson in the backfield. They better protect Jake Locklear in yr 3 of his career. Chiefs are 3.5 home faves. i like the Chiefs by a td. New England vs Miami- AFC East battle here. Gronk has been given the green light to play & that makes me happy because I have both him & Tom Brady on my fantasy squad. They are coming off losing to the Broncos in the conference title game. They improved on defense & they will always own the AFC East until someone knocks them off their horse. The Dolphins are nice. I like Tannerhill & I respect Kameron Wake & his prowness. Game’s in South Beach, so expect the Dolphins crowd to be fired up. Pats are 5 pt road faces. I like the Pats & the points. Oakland vs N.Y. Jets- The Raiders open up on the road vs a Jets team who will have some problems in the secondary. The Jets were lucky to finish 8-8 last yr despite Geno Smith throwing 12 tds & 21 ints in his rookie yr. They picked up Eric Decker in the offseason, but the secondary took a hit w/ injuries to Dee Milliner (high ankle sprain), Dexter McDougle & they cut Dmintri Patterson after he went AWOL in the preseason. For the Raiders, a lot of people expecting good things from them this yr. I like the fact they’re starting Derek Carr over Matt Schaub because Schaub underperformed in the preseason. They acquired Justin Tuck & Maurice Jones Drew, plus they took a chance to resign McFadden for a 1 yr deal . It could be a dull game & it could be a great game. Jets are 5.5 home faves. For some reason, I like the Raiders to steal this game at Met Life by a Sea Bass fg. Jacksonville vs Philadelphia- The defending NFC East champs get to open yr 2 of the Chip Kelly era vs a young Jags squad. For the Eagles, they hope that Nick Foles doesn’t have that sophmore slump & they better hope the departure of DeSean Jackson doesn’t affect the receiving corps. i know Macklin’s returning & getting Darren Sproles takes the pressure of LeSean McCoy, but Jackson was their home run hitter. For the Jags, I don’t know why they are going to wait to start Blake Bortles later in the season. It’s about rebuilding for them. Why watch this game? Eagles are 10.5 home faces. I like the Eagles & the over. Minnesota vs St Louis- This will be an interesting game here. For the Vikings, new coach, Norv Turner as offensive coordinator & Matt Cassell starting at quarterback, beating out Pounder. I wonder how Adrian Peterson feels bout this. He likes Turner as coordinator because it means he’ll be catching passes out the flats & if Cassell fails, here comes Teddy Bridgewater. I think Bridgewater will be starting by week 8. For the Rams, tough off-season & preseason. First, making history by drafting Michael Sam, the 1st gay player in the NFL. The preseason saw them losing both Sam Bradford (torn ACL) & Isaiah Pead to season ending injuries. To top it off, they cut Sam. He played good in the preseason, but it was a football decision. In my opinion, they didn’t want the distraction. It was bad enough he got cut, but not invite to the practice squad was ridiculous. At least the Cowboys are gong show him love. Expect a hard nose grind out game. The Rams are 3.5 home faves. I like the Vikings by a fg. I trust Matt Cassell over Shaun Hill. Carolina vs Tampa Bay- The Panthers will be looking to be the 1st team in a long time to repeat as NFC South champs. They will be facing a Bucs team who will have nothing to lose this yr. The Panthers lost not only to the Niners in the divisional round, but Steve Smith as well to the Ravens. Cam Newton has no receivers returning from last yr. He better use his feet to avoid pressure this yr. At least the defense is still in tact. For the Bucs, Lovie Smith’s the new guy in town & it’s like a homecoming for him. He was a defensive coordinator for them before he started to coach the Bears. He’s the inventor of the Tampa 2 defense. It will be a hard nose game. Tampa’s a 2 pt home fave. I like the Panthers by a fg. I trust Killa Cam before I trust Chad Henne. Indianapolis vs Denver- The defending AFC Champs will try to forget what happened to them in the Super Bowl when they host the Colts in the Sunday Night contest. Both teams got hit today w/ suspensions. For the Colts, Jim Irsay gets a 6 game suspension plus $500,000 fine for violating league’s personal conduct policy while the Broncos won’t have Wes Welker for 4 games after he tested positive for amphetamines. The Welker one was crazy because he was coming off a concussion he suffered in the preseason. i was teasing that Peyton Manning was gonna get Welker killed w/ a pass in the middle of the field. Speaking of Peyton, coming off 51 tds last yr, but he couldn’t get anything going vs the Legion of Boom in the big game. Decker’s gone to the Jets, so expect the Thomas bros to expand their games & great pick-up w/ the TJ Ward signing. For the Colts, yr 3 of the Andrew Luck era. Reggie Wayne’s back from the ACL tear, but the running game is suspect. Will they get anything from Trent Richardson? Browns fans thinking they made the right move by trading him. Old gun vs young gun. A lot of yards here. The Broncos are 7.5 home faves. I like the Broncos & take the points. San Diego vs Arizona- The Chargers & Cards end the week w/ this contest. for the Cards, I love their defense & always respected Larry Fitzgerald. My problem for them is which Carson Palmer is going to show up. The one who goes for over 400 yards & 3 tds or the one who’s turnover crazy. For the Chargers, they finished 9-7 last yr. Phillip Rivers will give you numbers, but the defense is the key. Will they show up. Cards are 3.5 home faves. I like the Chargers & the pts. I hope everyone will enjoyed this blog. I know it’s been a long time since I posted something, but I’m back for the season. Happy belated b-day shootout to my havana gf Nikki Flores & to the homie Chris Cavanaugh. Happy b-day shootouts to my cousin Karen Norman, Angel Marron, Claudia Maciel, Victor Martinez, Dominque Secrest, Robert Blanco, Aileen Capelo, Alexx Aguilar, Rick Reiss, & T.K Rahder. Shout out to the homie Edward Alphonso for his 1st go around in fantasy football & since he’s my 1st opposition, good luck. What up to Screws as well. I’ll be ready for Randy & Noez this yr. I’m out. Catch y’all next week.